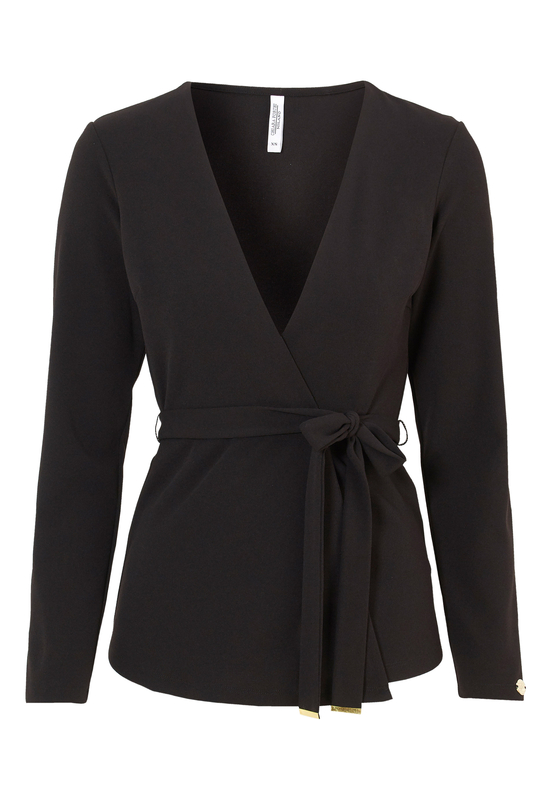 Wrap cardigan in tricot fabric from CHIARA FORTHI. Can be worn over a camisole or a t-shirt. Length of garment in size S: 68 cm. - Sleeve length in size S: 60 cm.